Fisher-Price Grow-With-Me High Chair $54.39 (reg $79.99) + $15 in Kohl's Cash! Fisher-Price Grow-With-Me High Chair $54.39 (reg $79.99) + $15 in Kohl’s Cash! 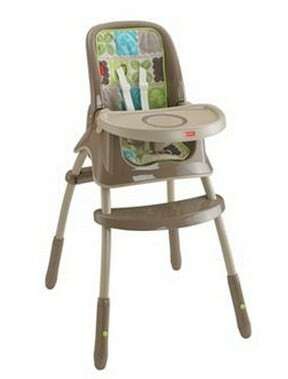 You can get this Fisher Price Grow With Me High Chair for just $67.99 (reg $79.99). After 20% discount they will be just $54.39! Plus you will get $15 in Kohl's Cash! So like paying $39.39!